How are you all doing? It's been a while since I last made a blog post. I have been up and down. I have focused a lot on writing rather than doll stuff lately. It's been wonderful to see my story grow and grow, even though I'm stuck right now. I lost the general view of my story. It's like I can't gather my focus, but I got a good advice this weekend. I'm gonna try and write all plot points on post-it notes and try and make sense out of it. When I have been doing doll stuff, it's mostly just a weekend with friends. It was nice and I had a lot of fun. 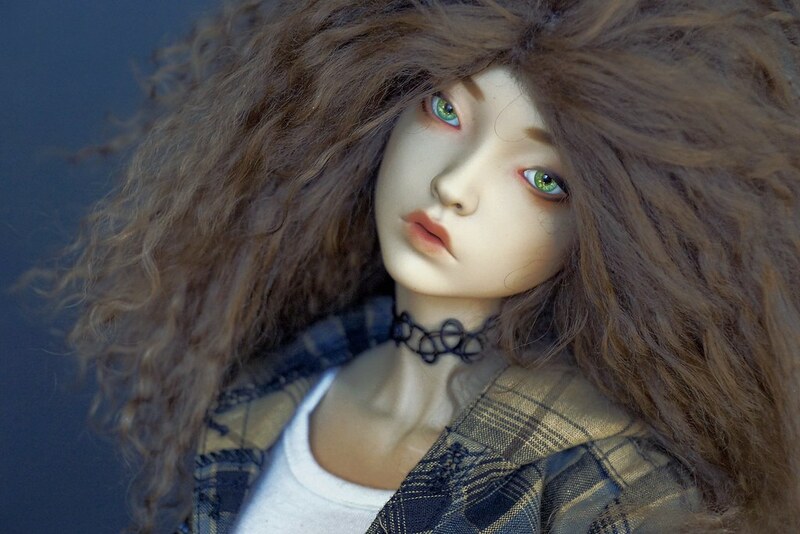 I even got a bit of drive back, so now I want to seriously see, if I can get a Dollzone body for my soon to be shipped Black Cherry Doll Kaorin! I have other small things I really want, like for instance eyes for Rose and Gwen (Kaorin), a wig for Gwen and more clothes for my girls, but it'll take some time for me to gather some funds. So that's pretty much what's up for me. I hope everyone is enjoying the summer! Well, an oops for me too. Have been busy with other things in life and missed my dolls a lot, even if I did not really have the urge to play. But I am glad that you have been writing and getting a great story on paper. Hope the plots makes it a bit easier to see the whole picture of the story. Thanks a lot sweetie. I have given up on the dream of publishing, though. From what I can understand, it's impossible to survive just by publishing books alone, you need a job, and I don't feel well enough to manage a job. So instead I'm considering posting it for free on the internet. As long you feel inspired and have fun - that is the important thing. I might explain some more of it on my blog soon!